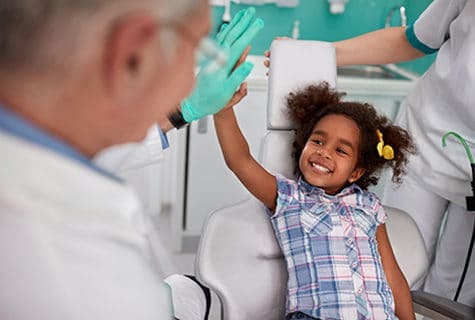 The staff at Sinha Family Dentistry is committed to providing excellent dental care in a comfortable environment where patients can relax and feel at ease. Here you will find information on what to expect during your first appointment along with links to patient forms and paperwork. We are happy to hear from you, answer your questions, and schedule an appointment. Call Sinha Family Dentistry at 314-266-4052 or stop by our office. It is easy to make an appointment for your initial examination and dental treatments. Call 314-266-4052 to speak with a staff member and you can download the New Patient Form by clicking to the right. At your first visit we would like to get to know you and understand your dental needs and desires. In order to accomplish this we'll complete a thorough examination and inform you of everything that we see. We will then give you our professional recommendation on how best to meet your goals.We offer a very comprehensive exam which takes longer than you may be accustom to. Please allow at least and hour for your initial appointment. Because our relationship is so important, you are encouraged to ask questions and to make the final decision. After all, it is your health and smile we are talking about! Your comfort is important to us as well. We offer a variety of ways to make your visit as pleasant as possible. Please let us know if there is anything we can do to make your visit more comfortable. 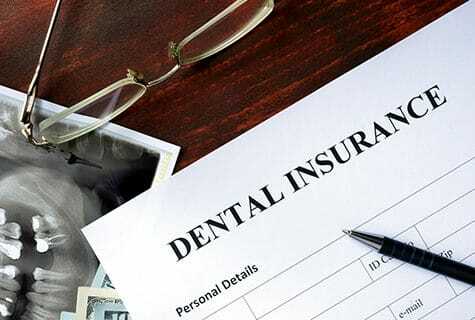 While insurance can sometimes be confusing , our staff will work with you to file the proper paperwork and help ensure that your dental benefits are maximized. Please bring your insurance information with you. For your convenience, we will submit your detail claim to your dental insurance carrier. If you have a question about whether your dental care will be covered, please contact our office for a complimentary benefits check at (314) 266-4052. We gladly accept payment from your verified dental insurance company and expect your estimated patient portion to be paid by you when you receive treatment. We offer a 3% discount off your entire treatment when paid in full by cash or check or credit card at the time of service. You will be reimbursed by your insurance company for their portion. We offer a 6 or 12 months Interest Free Payment Program or low minimum monthly payments with low APR. Programs are offered thru CareCredit. Applications are available in our office. We offer pre-authorized scheduled payments on your credit card. Ask for details. It is easy to make an appointment for your initial examination and dental treatments with Sinha Family Dentistry. Simply call 314-266-4052 and one of our friendly team members will be happy to assist you. If you schedule an appointment and something comes up, please call and cancel 24 hours in advance so that we can accommodate other patient requests. Your initial dental exam will take around one hour. The expert staff at Sinha Family Dentistry will ask you questions, get to know your oral hygiene routine, and listen to your health concerns. We believe in educating patients and empowering them to make good choices to improve their oral health. We will demonstrate how to properly care for your teeth and make additional suggestions as needed. 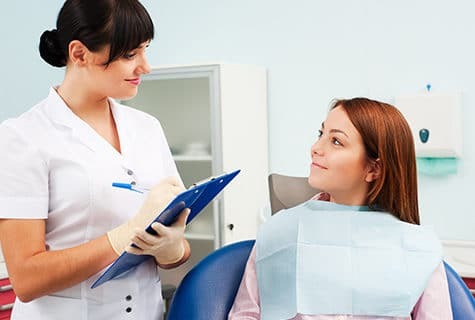 Our dental hygienist will clean your teeth then Pallavi Sinha will complete your examination and make recommendations for proposed dental treatments. We work to ensure our patients feel comfortable, and that includes minimizing their pain as much as possible. 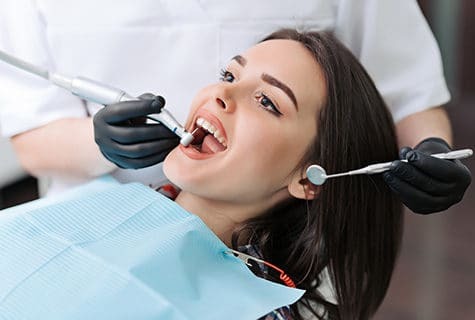 If you are undergoing a dental procedure, Pallavi Sinha will meet with you to discuss your pain tolerance and create a plan for pain management. Working together, we will treat your dental health problems in a way that minimizes pain and enables you to get back to your life faster. We accept a variety of insurance providers and endeavor to accommodate our patients' request. Please call our office at 314-266-4052 to see if we are currently working with your insurance provider. Sinha Family Dentistry provides high quality dental care to families throughout the St. Louis area. We understand that every dental patient has different financial needs. We will work with you to find a solution that enables you to get the dental care you need, with or without insurance. Call our office to ask about our different payment options that may include cash, check, financing, and credit cards. We provide budget friendly dental care so call today and learn how Sinha Family Dentistry is the solution to all of your oral health needs.